prowrestlingguerrilla.com • View topic - The Official(?) WrestleCon Thread. "Highspots and WWNLive.com will present the first annual WrestleCon on April 5th-7th, 2013 at the Meadowlands Expo Center on 355 Plaza Drive in Secaucus, New Jersey. This convention will feature legendary guests, vendors, $5 Wrestling and more. It will be the biggest weekend in independent wrestling history with six live shows from five uniquely different promotions. We will unveil the full schedule now. The Meadowlands Expo Center is a first class facility, just three miles from the location of Wrestlemania, five miles from Manhattan and minutes from the Newark Airport. It is easily accessible from the New Jersey Turnpike, Garden State Expressway and New York/New Jersey transit. Anyone else going? I went to Miami this year for the DGUSA/CZW and ROH shows. Can't be missing this. Re: The Official(?) WrestleCon Thread. August 9th: We are ready to release all the news about ticket prices. Tickets for both Dragon Gate USA events will be $75 1st row, $50 2nd row, $25 for GA. Tickets for EVOLVE, Combat Zone Wrestling, SHIMMER and CHIKARA will be $50 1st row, $40 2nd row and $25 for GA. Kaiju Big Battel is all GA seating at $25. $5 Wrestling is all GA seating and will be just $5! We have special packages to get you into all eight events with a discount and VIP treatment!!! Each package gets you more than 10% off tickets to all eight events. VIP ticket holders will get priority on the very best seats in each row. You will also be admitted to Kaiju Big Battel and $5 Wrestling 15 minutes before other ticket holders so you can get the best seats. Another perk will be the exclusive appreciation bag with collectables and goodies. Tickets will go on sale at www.WrestleCon.com on September 5th. I hope WrestleMania can be in L.A. again soon. It would be nice to have WrestleCon here since we lost WrestleReunion. Tickets are now on Sale for WrestleCon!! I bought Gold Circle VIP 1st Row for all 8 shows. Anyone else here going? CheMateo wrote: I hope WrestleMania can be in L.A. again soon. It would be nice to have WrestleCon here since we lost WrestleReunion. Summerslam IS in LA next year. Also, I shall be attending Mania in NY/Jersey and WrestleCon looks incredible. 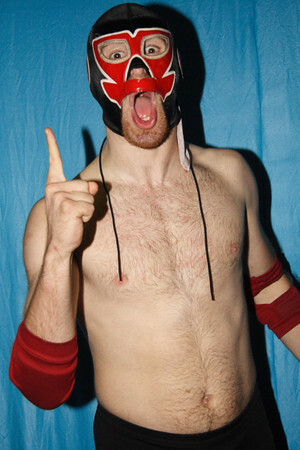 I have already bought front row tickets to both DGUSA shows and EVOLVE, and General seating for Chikara. Don't plan on doing Shimmer or CZW. Hasn't LA hosted the last 4 SummerSlams? Super Dragon got one of the loudest chants of the night. This DGUSA show is sooo boring and the crowd is dead... and I'm now convinced Jon Davis is the most boring wrestler ever. eastbay510 wrote: This DGUSA show is sooo boring and the crowd is dead... and I'm now convinced Jon Davis is the most boring wrestler ever. I don't understand why Gabe is so high on him. Jon Davis' entrance is longer than the Undertaker's entrance and he doesn't mesh well with every wrestler on the DGUSA/Evolve brands.